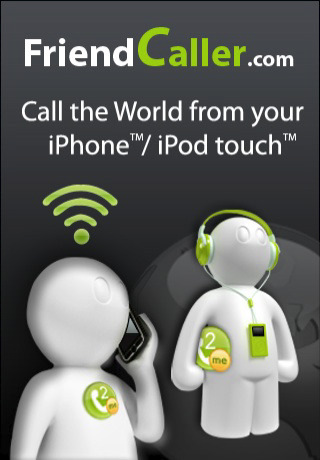 A new and improved version of the FriendCaller VoIP app from Android is now available for free download. The app has been optimised to make it more user friendly with a user intuitive contact list. Friendcaller works with all Android phones and tablets on Android 1.6 or above can be downloaded directly from the Google Android market. FriendCaller.com is a C2Call GmbH product which allows free calls from the WebPhone to any Internet user. There is also the chance to have free calling credit. No software installation is required and you can make calls to people even if they are not registered with Friendcaller. The app works on Linux, OS X and Windows browsers and is also available for the iPhone, iPod touch and iPad. Furthermore it can be used on Nokia Series 40 Session Initiation Protocol (SIP) Phones, as a Facebook App for SIP clients. Also if you have already connected FriendCaller with Facebook you can see the Facebook pictures of your contacts. Speed dial is another one of the many available functions. 0 Response to "Friendcaller VoIP App for Android"